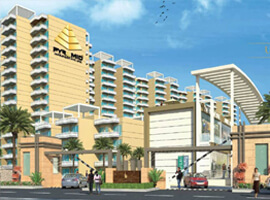 Godrej Air developed by the reputed Godrej Properties is fast emerging as a prestigious address in Gurgaon. Not only is the apartment designed with the contemporary tastes in mind but there is also an element of utility, convenience and efficiency in it. To add to that you have world-class amenities combined with great connectivity to Delhi and to Noida. 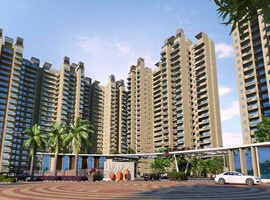 Godrej Air Sector 85 Gurgaon offering exclusive 2/3 BHK apartments. The focus is more on utility and value for money. The living experience inside the apartment will be enhanced by vitrified flooring, marble anti-skid tiles and modular switches for all electrical fittings. Flush doors with solid frames and oil distemper on the walls will add to the look and feel of the apartment. Get a contemporary lifestyle in the locality with a mix of world-class design and modern facilities at this location. Godrej Air Gurgaon Sector 85 experience is likely to be unique reasons. For your personal safety, the complex will be equipped with a secured entry gate and manned by professional guards with restricted entry for visitors Key amenities will include a clubhouse, gymnasium, swimming pool and a badminton court. For the health-conscious residents, the complex also provides a specialized jogging track, as well as a large walking area for your evening strolls. The structure is earthquake resistant and the complex is equipped with 24-hour power backup, a car wash area, high-speed elevators and dedicated gas pipelines. 15 Min from Metro Station. Easy access to shopping malls, eating joints and other modes of entertainment.